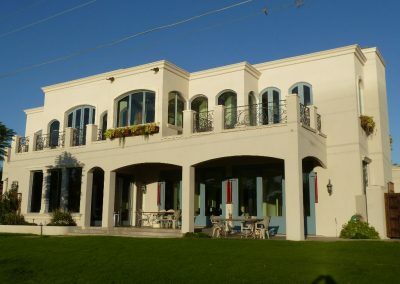 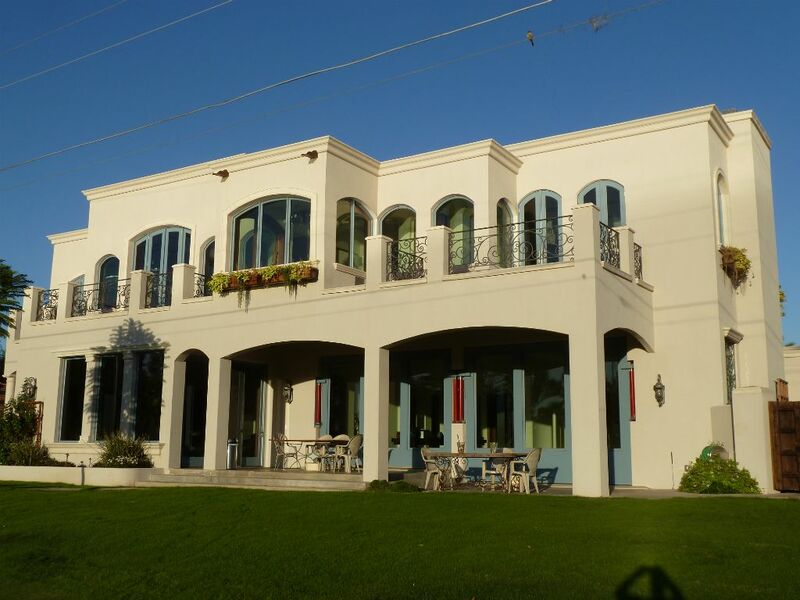 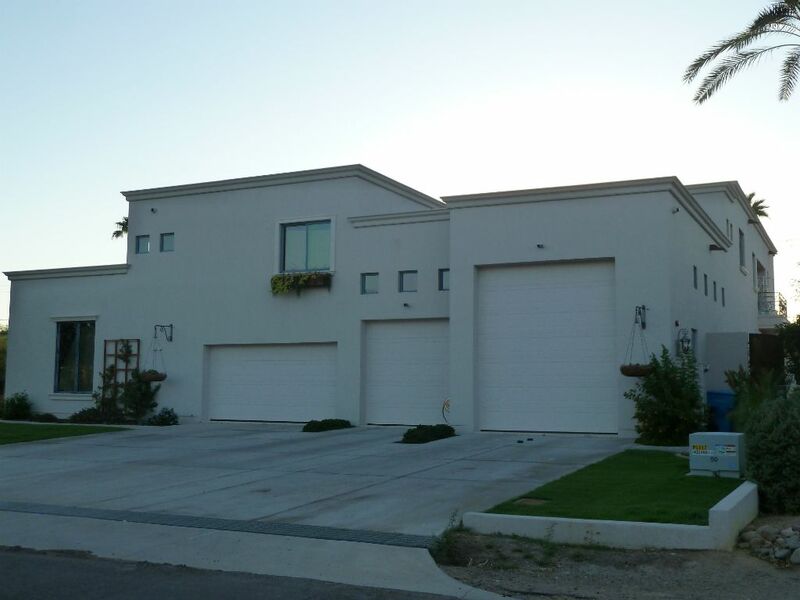 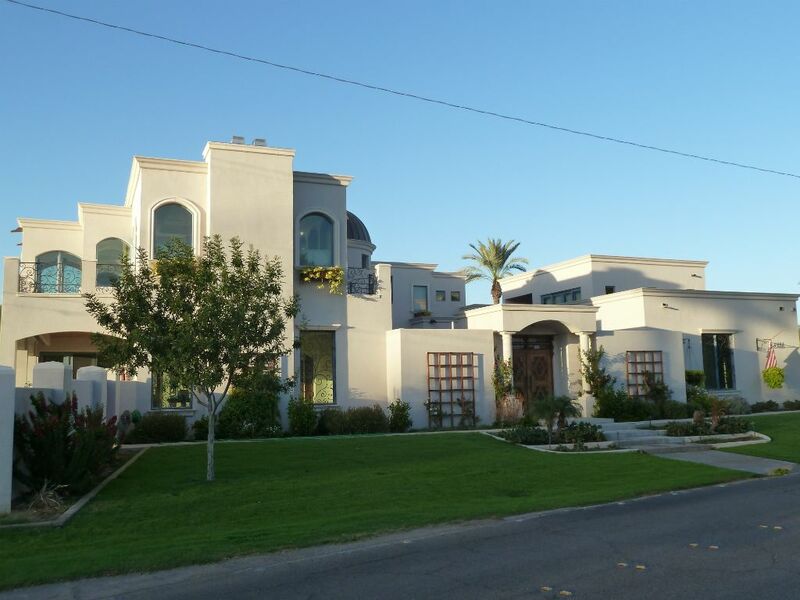 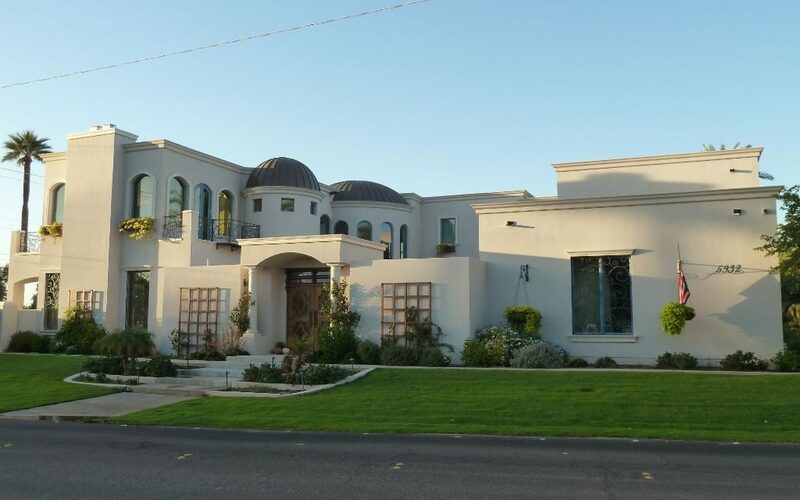 Built adjacent to a picturesque Arizona golf course, this home is a stunning example of how ICFs can deliver energy-efficiency and durability in an incredibly beautiful package. 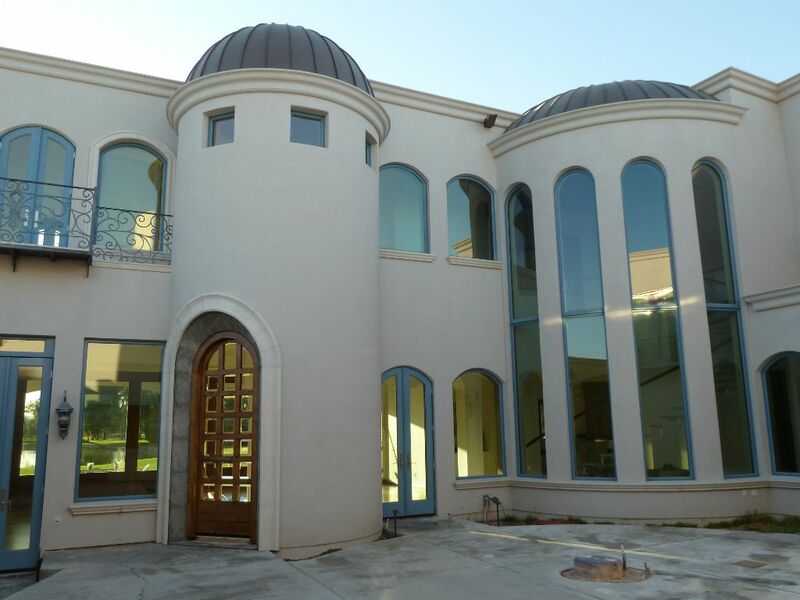 With 5,900 sq. 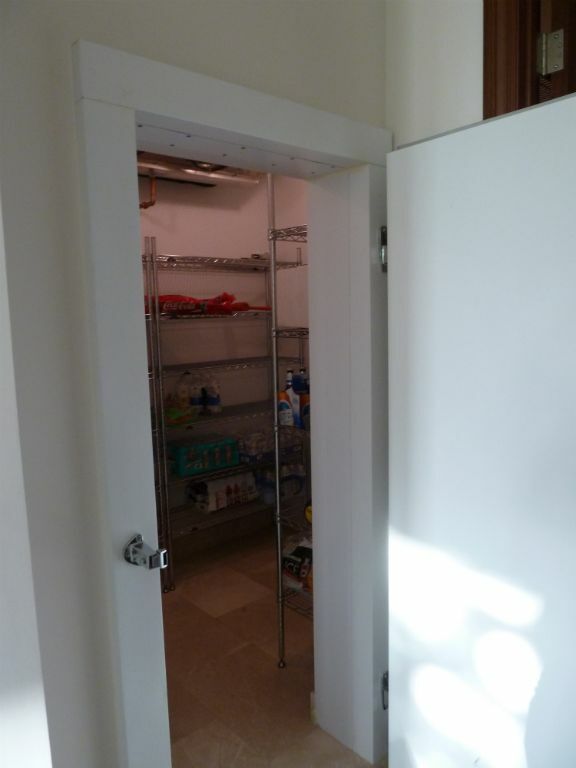 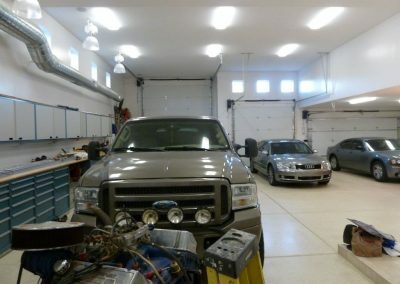 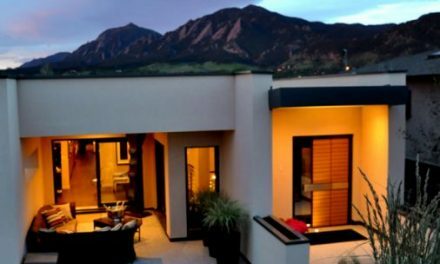 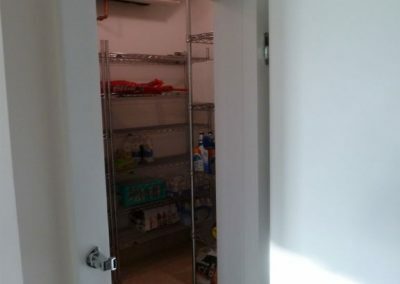 ft of conditioned living space, the home’s electrical bills are equivalent to a 1,500 sq. 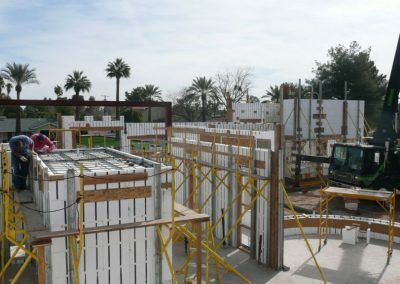 ft. wood-frame house—thanks to the homes 15-inch thick ICF walls (built with Arxx) supplemented by a modest photovoltaic system. The home and garage form three walls of a central enclosed courtyard, converting the space into a private oasis for the homeowners. 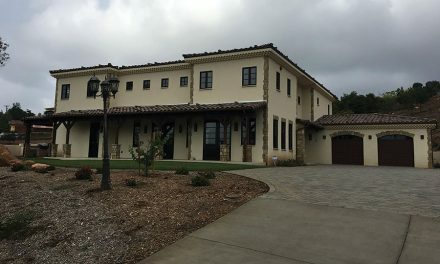 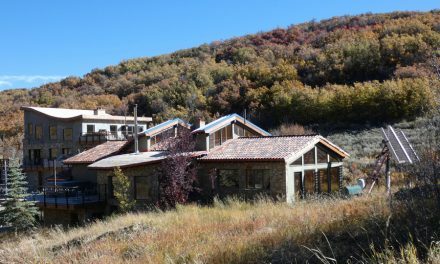 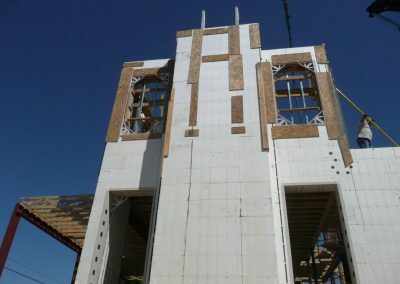 Rod Fetters, the ICF installer for this job, says, “From the very beginning, the complexity of this project was apparent.” Because of the various parapets, the home had 22 differing wall heights, topping out at 38 feet above grade. 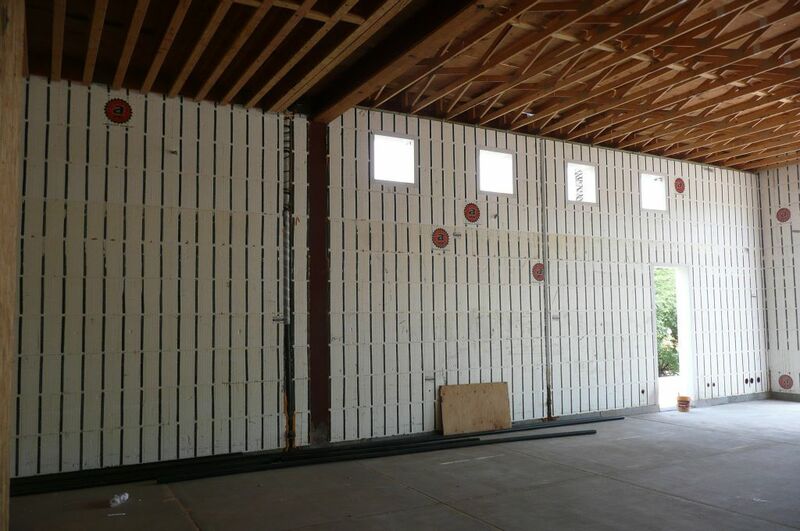 Some of these walls have no intermediate floors. 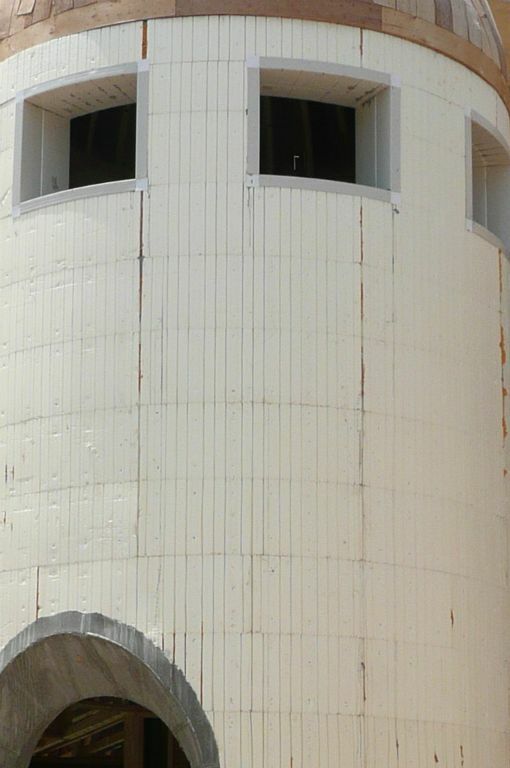 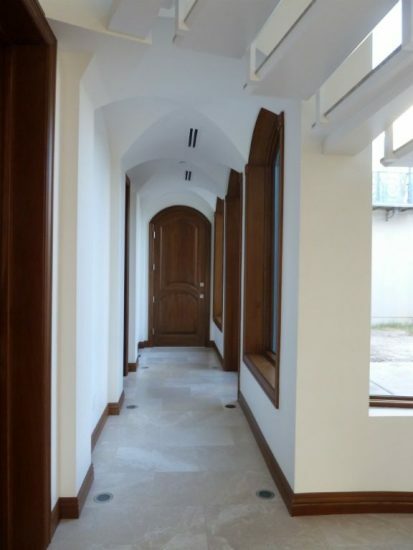 Several of the walls feature sweeping radii, each with numerous arched window and door penetrations. 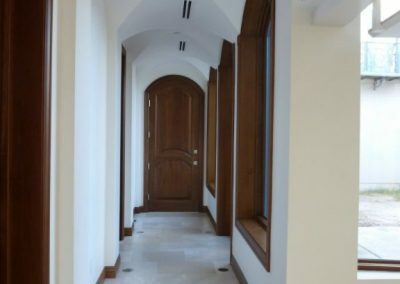 The back of the home has so many jogs that the longest straight run is reduced to only a dozen feet, and these had to be perfectly aligned to accommodate the multiple arched windows. 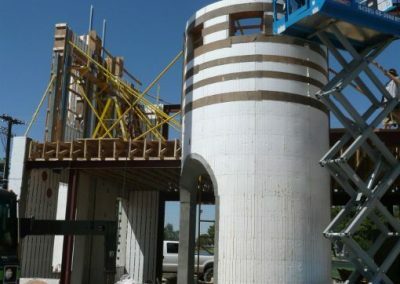 To reduce concrete costs, the home uses four different core sizes. 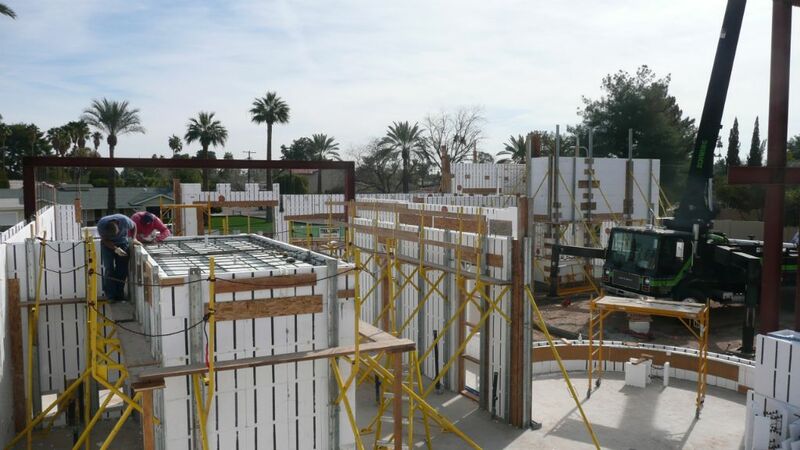 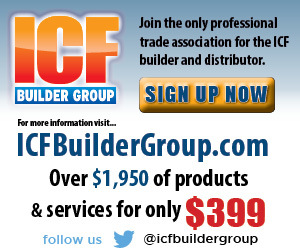 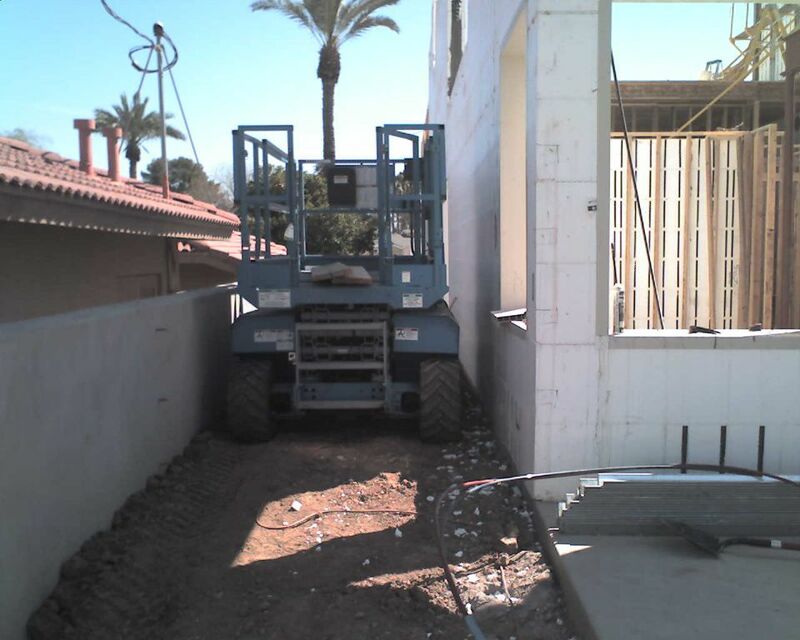 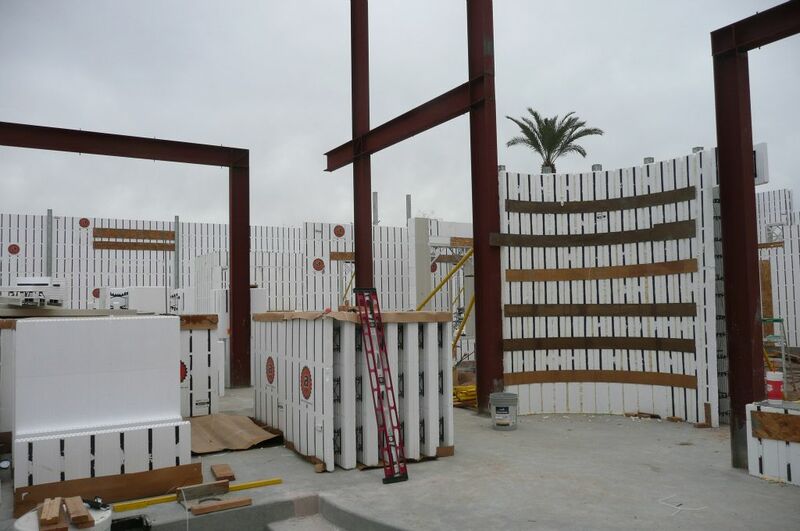 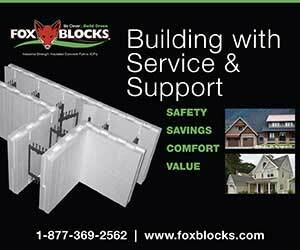 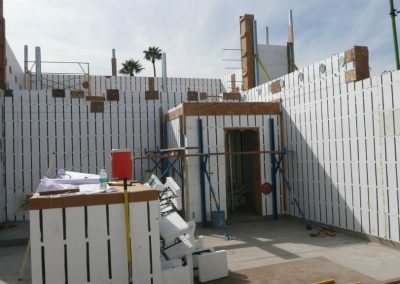 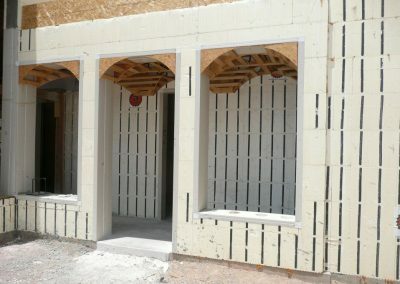 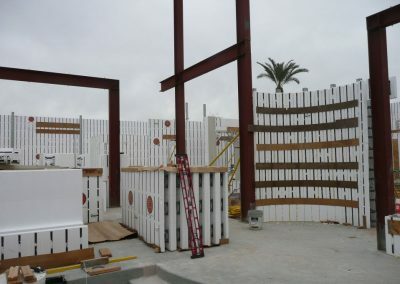 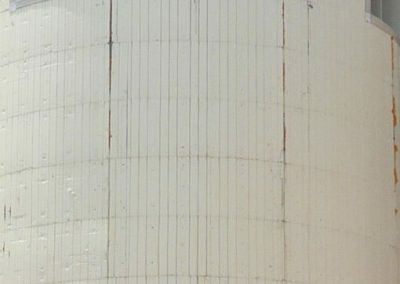 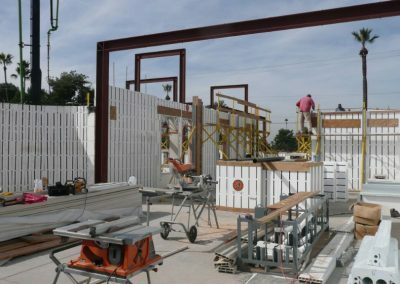 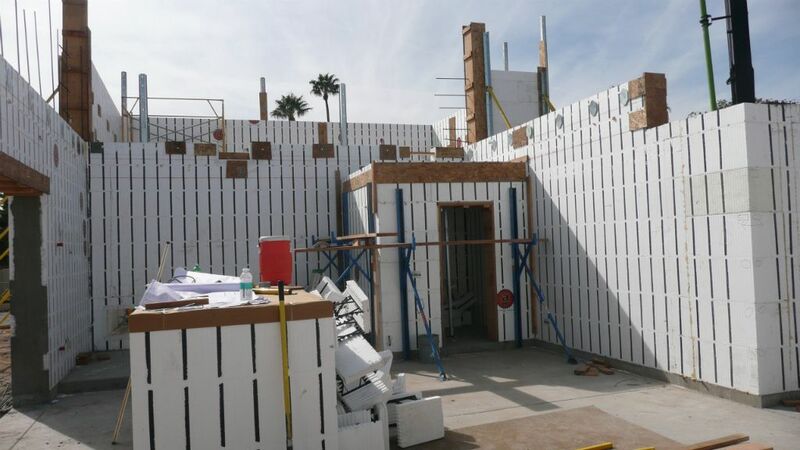 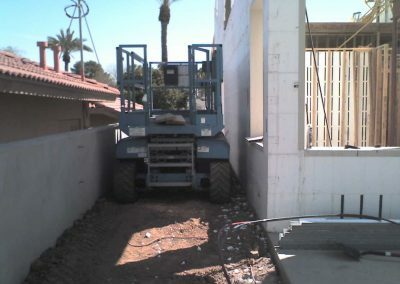 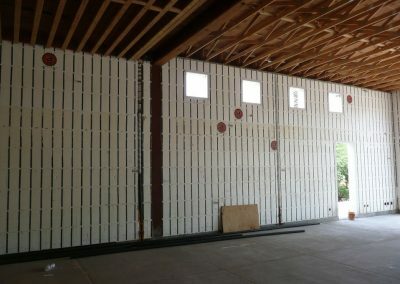 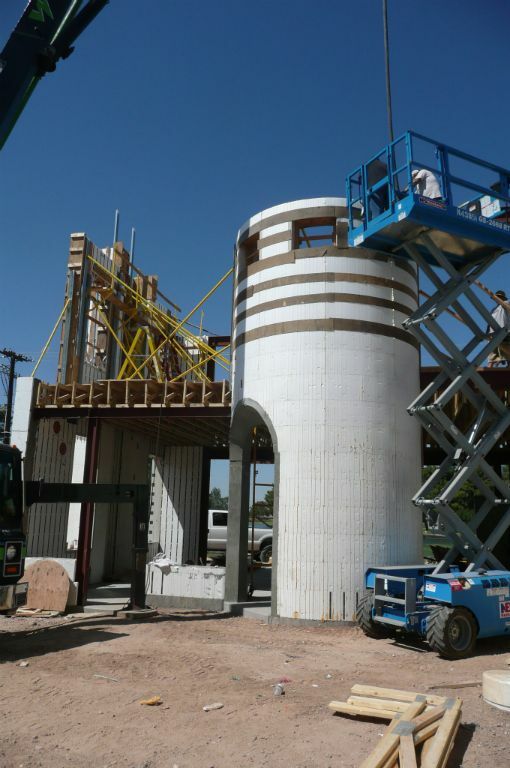 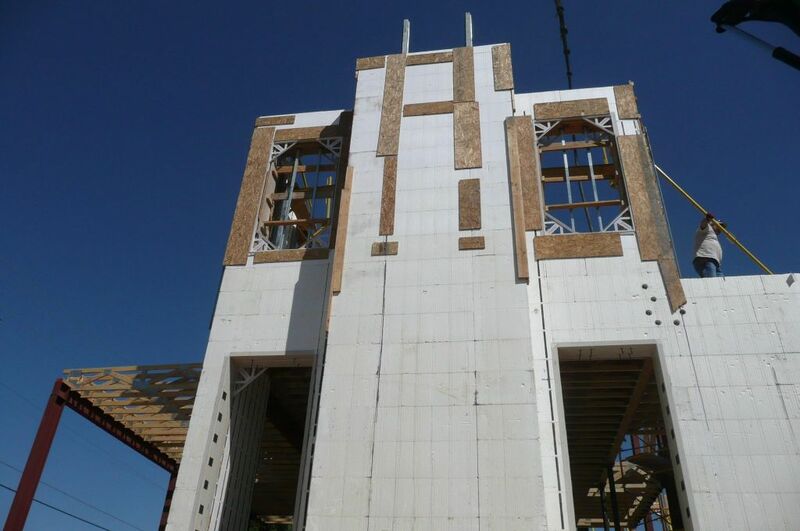 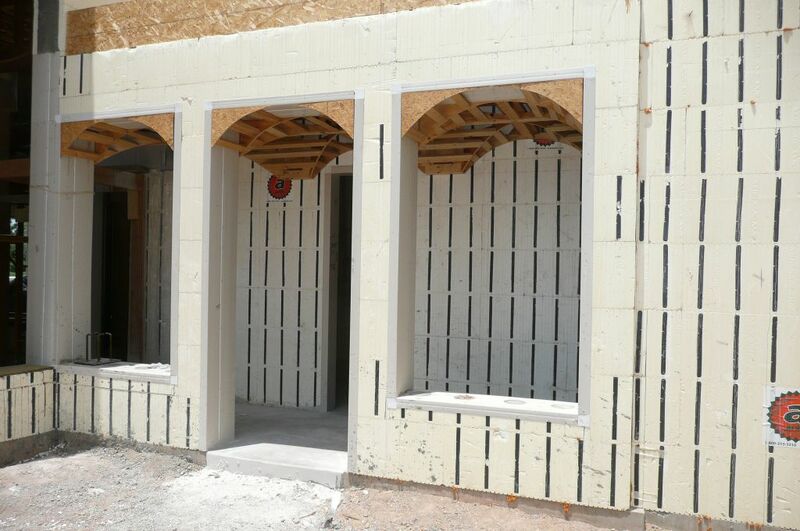 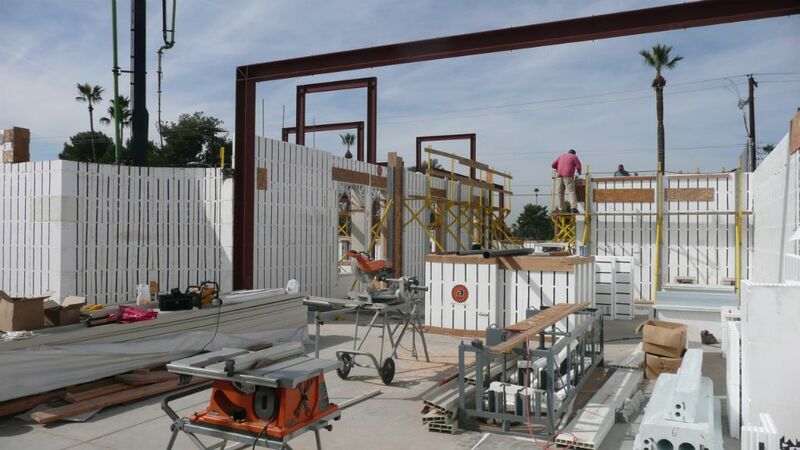 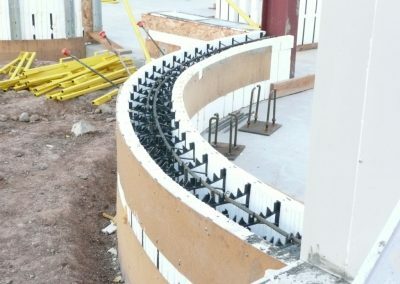 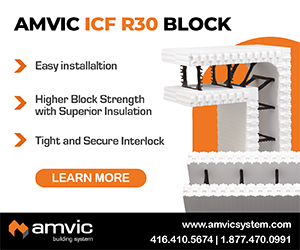 Integrating all of these factors into a successful project required what Fetters calls “old-school ICF craftsmanship” combined with a state-of-the-art Giraffe Brace system that could handle the head pressures that develop in 8- and 10-inch core walls. 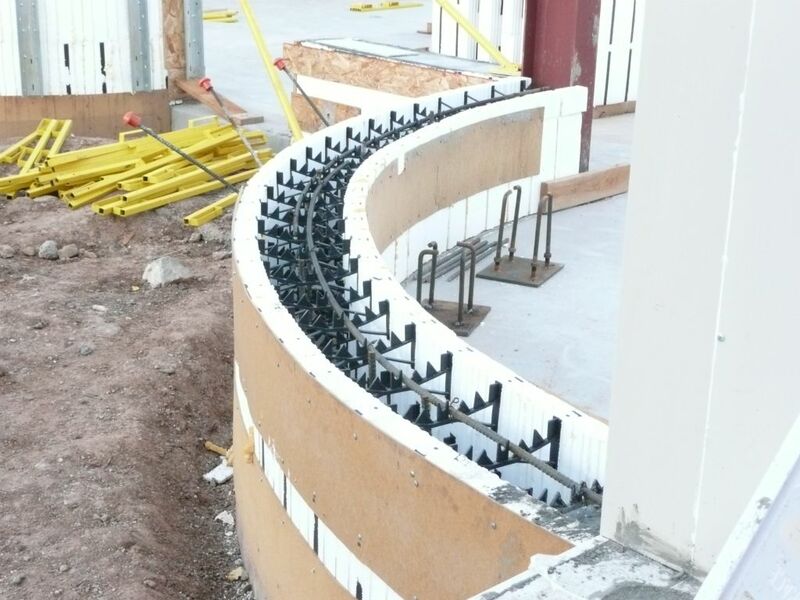 To keep the site pristine and prevent complaints from the golf course next door, Fetters required every cut on every block to be made with a hot knife. 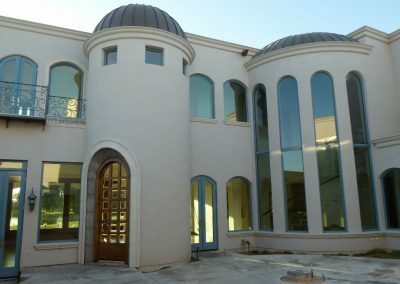 To take advantage of golf course views, the rear of this house has more than 14 corners and an incredible number of arched windows.